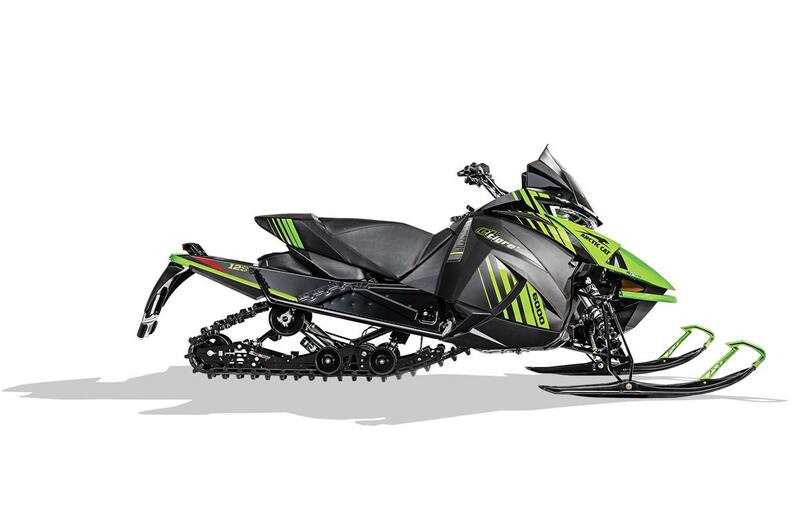 SLIDE-ACTION Rear Suspension with Arctic Cat 1.5 IFP Front and FOX 2.0 ZERO QS3 Rear Shocks: The SLIDE-ACTION Rear Suspension brings race-day technology to everyday riding. Our U-shaped slot fits over a fixed shaft to allow a crucial half-inch of sliding movement. As the rear transfer blocks are engaged, the free-acting front arm follows the terrain, keeping your skis firmly planted over bumps, and during aggressive cornering and acceleration. The Arctic Cat® IFP 1.5 front gas shocks feature a hard-anodized aluminum body, 0.5" shaft, aluminum internal floating piston, and high-quality seals and ice scrapers. FOX 2.0 ZERO QS3 rear tracks feature 3-position dial compression adjustability for quick and easy tuning for different riding styles and conditions. 129-in. Ripsaw & 137-in. Ripsaw II Track with 1.25-in. Lugs: Just say the name Ripsaw™ and one of the best trail tracks out there comes to mind. The 15” wide footprint with 1.25” lugs provide excellent durability and traction on groomed or hard-pack snow. Standard Ripsaw is available in 129" or the Ripsaw II is available in 137".